First Tomorrowland 2017 festival-goers arrive at Brussels Airport ! 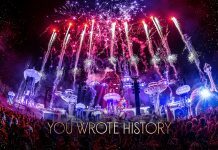 Home Edm News First Tomorrowland 2017 festival-goers arrive at Brussels Airport ! 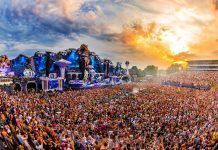 This year, the world’s biggest EDM festival, Tomorrowland celebrates its 13th edition called “Amicorum Spectaculum“. The festival will welcome 400.000 festival-goers for two-weekends. The global interest for the ticket sale was overwhelming once again. People from all over the world will visit the festival and make Tomorrowland the most international event on the planet. This year 30.000 people from around the world will take part in Global Journey, the largest ever travel undertaking by a festival worldwide. Next to the Brussels Airlines flights, Tomorrowland also have guests who travel by train and bus. 38.000 guests are staying at DreamVille or others are sleeping in one of the 27 Official Tomorrowland hotels in Brussels. 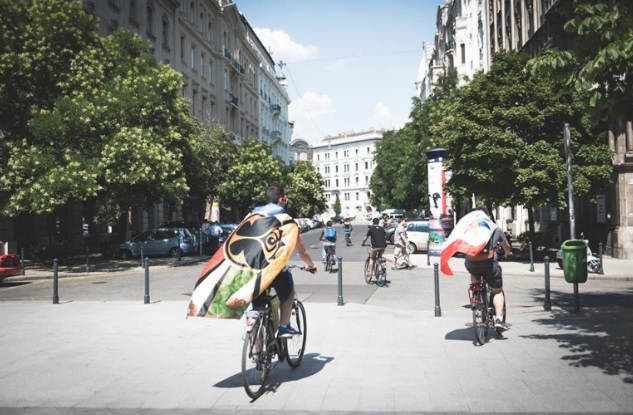 Tomorrowland attendees can also extend the unique global connection of the festival with an amazing travel package that takes them across Europe : Discover Europe. 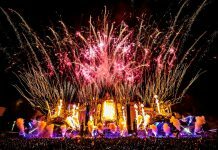 The People of Tomorrow get the chance to visit next to Tomorrowland also Brussels, Amsterdam, Paris, Berlin, Barcelona, Ibiza and Budapest. For the 6th year in a row, Brussels Airlines flies thousands of festival goers from around the world to Tomorrowland festival. This year, they bring more than 10.000 festival-goers to Belgium to celebrate at Tomorrowland in Boom. All these music lovers come to Belgium on 236 different flights from 79 cities all over the world. The most popular departure cities are Geneva, Madrid and Barcelona. 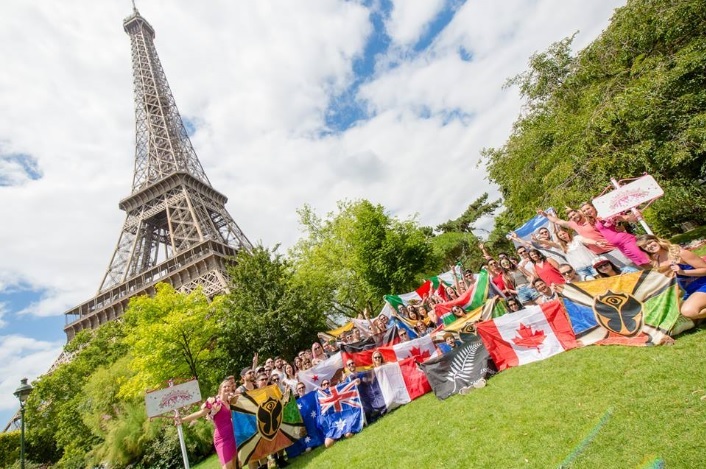 About 500 Tomorrowland goers chose a Discover Europe Package, in which they can combine the festival with a visit to several European cities. 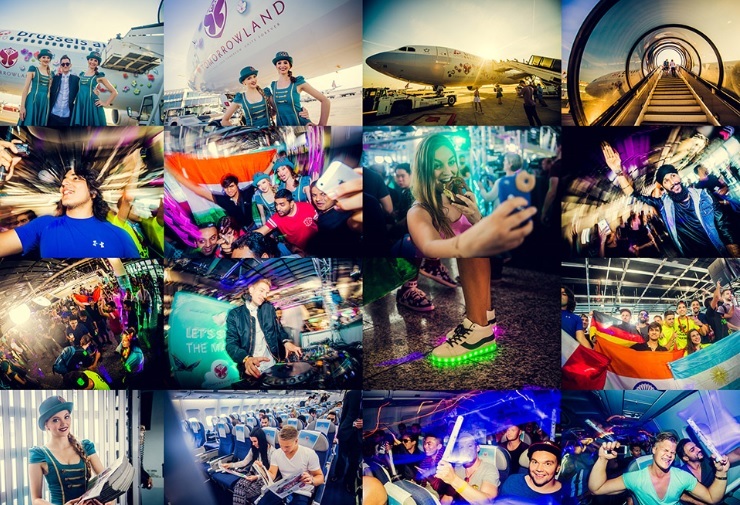 Before getting on the plane, festival goers will be treated to a pre-party at the gate at 24 departure airports.. 47 flights take the party up in the air with music on board, of which 8 flights even host a live DJ-set at 30.000 feet ! 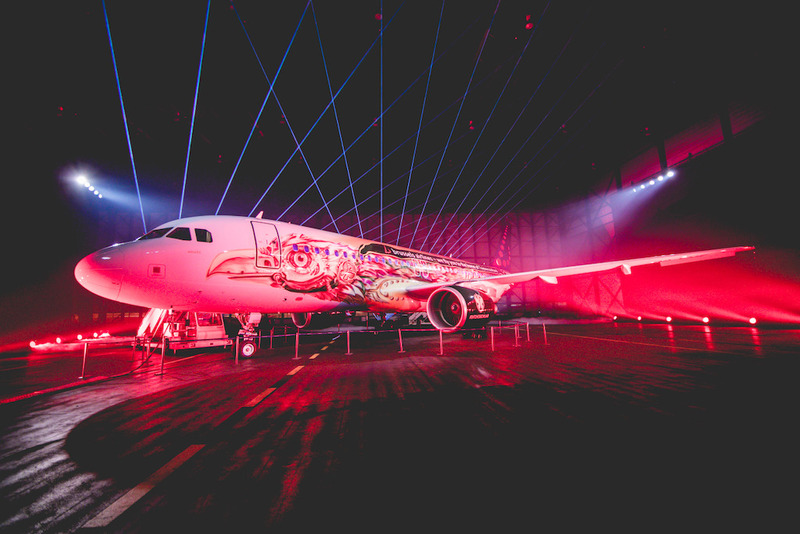 This year, Brussels Airlines and Tomorrowland organize party flights with Amare, the fourth Airbus A320 in the airline’s Belgian Icon series, dedicated to the festival. Amare was chosen as the fourth special livery plane because Tomorrowland really has become one of Belgium’s icons, the festival being infamous around the globe. Guests on board of Amare will be in the Tomorrowland 2017 mood right from their departure, with its special mood lighting and music installation on board. Tonight, DJ Yves V will play a live DJ set on board when Amare flies 180 Discover Europe party goers from Ibiza to Brussels Airport. Michelin star chef Roger Van Damme serves a special Tomorrowland dessert for everyone on board. New this year is that Tomorrowland will test a baggage drop off point at the Dreamville, so the festival-goers don’t have to carry their bags and tents to the airport themselves and can have a relaxed trip home or can enjoy a nice day of sightseeing before heading to the airport. The party flights can be followed online here !